US-based supplier of halogen-free flame retardant solutions FRX Polymers and China’s Shengyi Technology Company have jointly developed a new copper clad laminate (CCL) product with greatly improved dielectric properties compared to current commercial halogen-free systems in the market today. The new CCL, based on FRX Polymers’ Nofia FR hardener system, is in the low loss region (0.005 – 0.010) with accompanying low dielectric constant. The breakthrough technology was unveiled in a joint technical paper presented at the IPC Expo in Las Vegas on March 16. 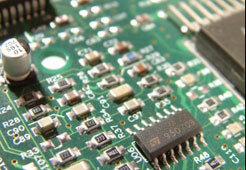 The new CCL technology utilises FRX Polymer’s Nofia flame retardant hardener and is expected to find initial applications in the smart phone and server segments of the printed circuit board (PCB) market. In addition to its electrical properties, the product also has high modulus, low coefficient of thermal expansion, good peel strength, outstanding pressure cooker resistance, and a strong UL 94 V-0 rating in the flammability test. This game-changing development is the result of a strong collaborative effort between the R&D teams at Shengyi and FRX over the last two years. “We are proud to have worked with Shengyi Technology on this important development,” said Marc-André Lebel, President/CEO of FRX Polymers. Shengyi Technology is a world-class producer of CCLs with state-of-the-art manufacturing and R&D capabilities, according to Lebel. The FRX Polymers’ R&D team was led by Dr. Lawino Kagumba, who worked closely with Shengyi Technology’s team. 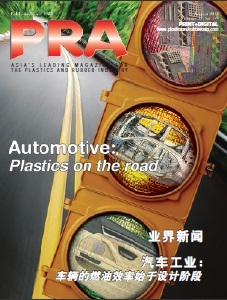 “The breakthrough product sprung from a remarkable, results-driven collaboration between Shengyi and FRX,” said Lebel. Nofia phosphonates, FRX Polymers’ polymeric halogen-free flame retardant solution, replace halogenated flame retardants, which are being phased out due to toxicity concerns. Nofia products have undergone toxicology testing, received a favourable toxicological profile, and have consequently been registered globally. They are produced using sustainable green chemistry principles such as a solvent-free production process, no waste by-products, and near 100% atom efficiency. 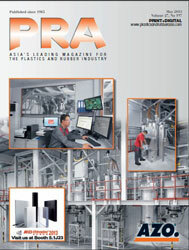 The US Environmental Protection Agency (EPA) in 2014 recognised FRX with the Environmental Merit Award. FRX was also awarded the Belgian Business Award for the Environment earlier this year. Shengyi Technology Company (formerly known as Guangdong Shengyi Sci. Tech), which has been based in Dongguan since 1985, is a joint-venture by AVA International (formerly known as MicaAVA (Far East) International), Dongguan Electronic Industry General Company and Guangdong Foreign Trade Imp. & Exp. Corporation. It manufactures FR-4, CEM-1, CEM-3 and prepregs.